QUIDURA (Querari and Quasillo’s half-sister by Dubawi) ran a gallant 2nd in the $500,000 G1 Diana Stakes at Saratoga, USA on Saturday, 22nd July. Owned by Andreas Jacobs’ Gestut Fahrhof, the Dubawi filly led the field close to home and fought gallantly all the way to the line, to be just headed by Lady Eli, a 5-year-old daughter of Divine Park. Quidura, a 4-year-old English-bred bay filly, was carrying three pounds less than the 118 she trekked in a third-place effort to Diana participants Dickinson and Lady Eli in the G1 Jenny Wiley. Under jockey Junior Alvarado, Quidura finished one length ahead of Antonoe on the firm turf course. Lady Eli outlasted Quidura by a head, completing 1800m on the Mellon turf course in 1:46.17 to win her second consecutive G1 event – building on her win at Santa Anita – and her fourth G1 overall. 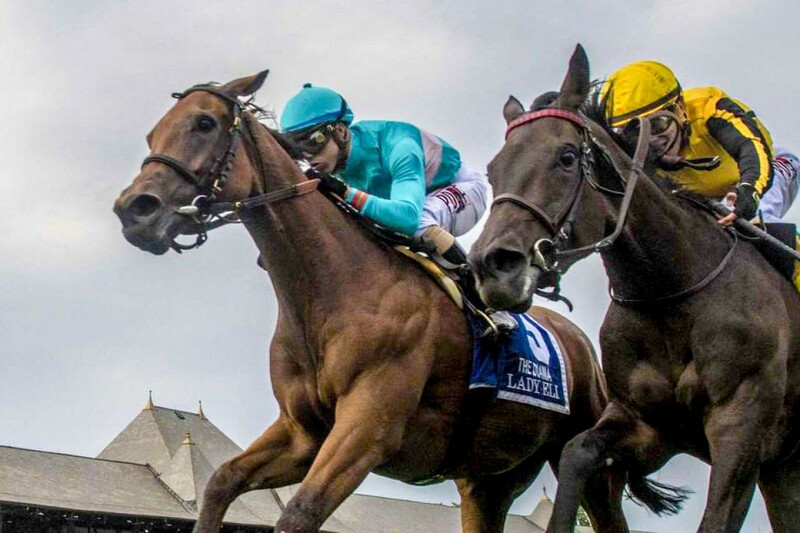 “One of Lady Eli’s greatest races to date,” said trainer Chad Brown, “Maybe her best.” Lady Eli has now won 9 of 12 career starts and her three losses have come by a combined margin of a length! “Two years ago, the gritty mare was fighting for her life after developing a case of laminitis, a potentially devastating hoof disease which she overcame and has now honed her fighting spirit and refuses to be beaten”.